Monopoly money worth more than what’s in your wallet? 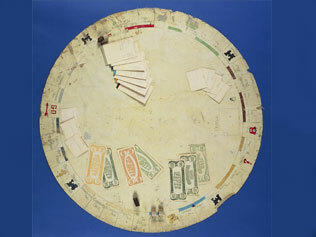 Much more, if it comes from the earliest surviving monopoly set, hand made by the inventor of the game, and shaped to fit his dining room table. It is expected to fetch $60,000-$80,000 at Sotheby’s tomorrow when the huge toy collection of the late Malcolm Forbes (1919-1990) is sold at auction. This entry was posted in Holidays and Festivals and tagged Antiques. Bookmark the permalink.